Many members of Italic Pig previously worked on Straandlooper/Telltale’s amazing HECTOR Badge of Carnage series (which I absolutely adored) so despite it being a new studio, there is a good deal of experience to draw from and expectations, or at the very least mine, are fairly high. Now we finally get a glimpse of what they’ve been working on thanks to the game’s Creator/Director (and previous special guest contributor on the site), Kevin Beimers, who sent over loads of great information and a cinematic trailer announcing the game. Kevin was also nice enough to take part in a lengthy Q&A about the game as well. Based on a cornerstone of quantum theory, Schrödinger’s Cat is a paradox proposed by noted physicist Erwin Schrödinger in 1935, in which a cat is placed inside a radioactive box along with a container of poison. The poison is released, killing the cat, however it is postulated that while sealed within the box, the cat is simultaneously both dead and alive, however, breaking the seal and looking inside the box will reveal either a dead or live cat, but not both. This game focuses on what this (crime-solving) cat is actually doing while no one is looking. 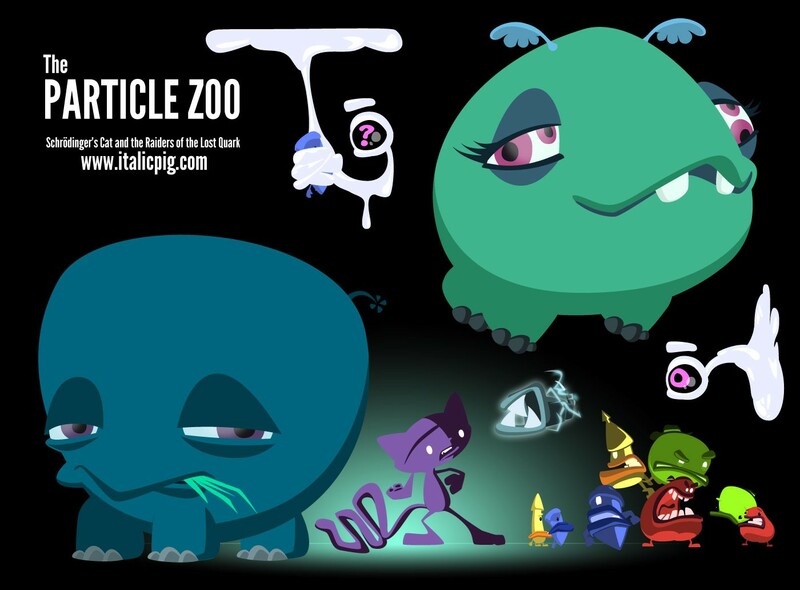 The Particle Zoo is the atom’s answer to Jurassic Park. On a good day, patrons of all sizes can observe free roaming elementary particles of the Standard Model in their natural habitats. Today is not a good day. When Schrödinger’s Cat is called in to sort it out, he needs to get the cantankerous Bosons, the kleptomaniacal Gluons and the ferocious, quarkniverous Leptons back where they belong… not to mention figure out how they all got out of their enclosures in the first place. There are also what are called Charm quarks and when these are combined with any of the other quarks they give you a temporary power-up (Up Charm bestows the power of flight). 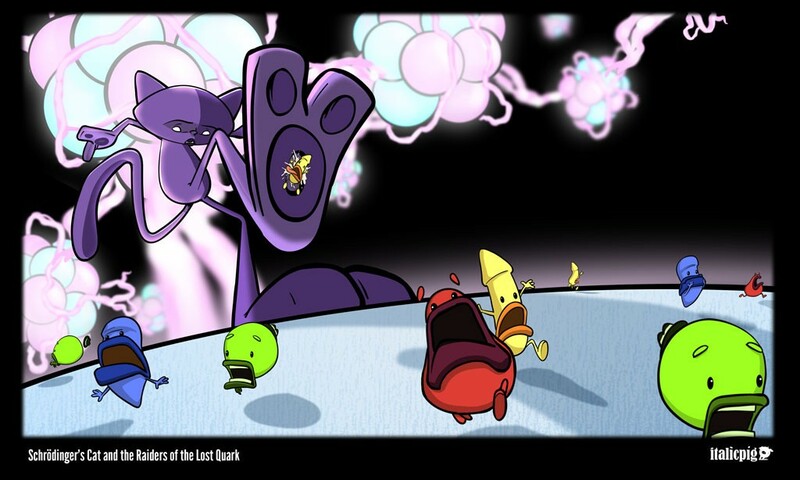 Part combat-platformer, part logic-puzzler, part open-world explorer, part character-driven adventure, Schrödinger’s Cat and the Raiders of the Lost Quark fluctuates between several gaming universes to provide a colourful, quirky, quantum-sized adventure. Check out the cinematic trailer below for a taste of what to expect. If the character voices sound a little familiar, it’s because it is none other than A.J. LoCascio, who also voiced the character of Marty McFly in Telltale’s Back To The Future game series. If that wasn’t already enough detail, don’t worry, there is even more information on the game’s official website, plus we have a detailed Q & A with Schrödinger’s Cat’s Kevin Beimers Creator/Director on page 2 of this post.